Rivington Street Studio specialises in architectural and landscaping projects for the education, housing, leisure, commercial and public sectors. The Soft Moss shade from the Bloc range adds earthiness and warmth to the otherwise minimalistic interior. 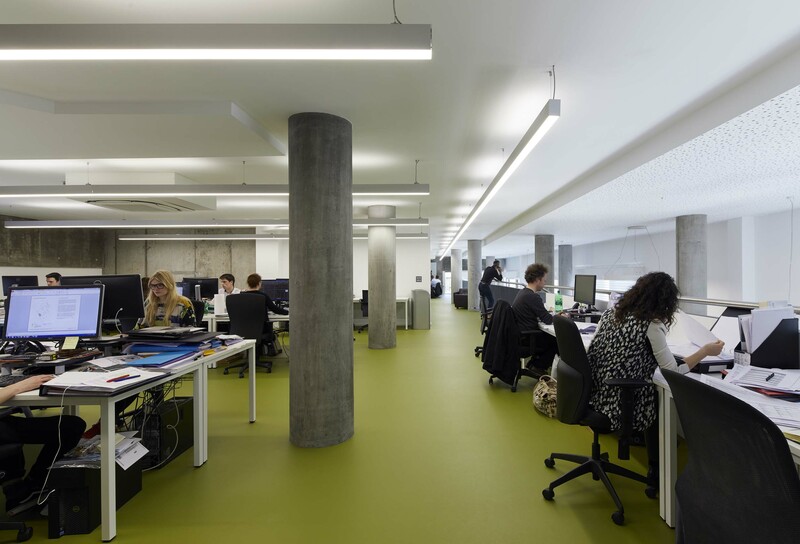 The green shade was fitted by local contractors Abbotts Flooring throughout the open plan office, meeting rooms and the communal kitchen. UK manufactured Bloc PUR allows customers to create a tonal, complementary or harmonious interior design scheme through the availability of 16 enticing colours. Featuring a single solid colour with a textured matt emboss, Bloc has a 0.7mm fully pigmented homogenous PVC wear layer of pure colour and a polyurethane reinforcement. The Bloc colour palette includes a range of greys, neutrals, pastels and brights.